When Should I Start Up My Underground Irrigation? Spring is here! If you’ve got a built-in home irrigation system, you may be wondering if the time is right to start it up. While your DIY impulses may tell you to get out there and get it going as soon as the weather is warm enough, the reality is that you have to be very careful with underground irrigation systems or you may unwittingly cause some expensive damage. 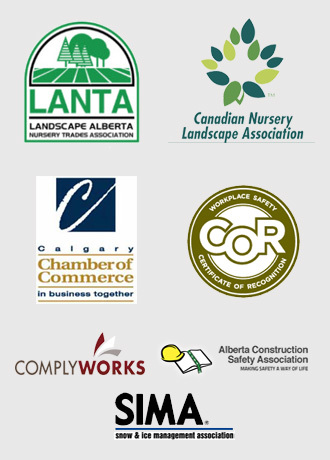 There are also certain specific situations in which the task of getting it up and running is best left to your Calgary landscaping company, so don’t take risks if you have any doubts. When deciding if it’s time to start your underground irrigation system, the key question to ask yourself is this: are you sure that hard ground freezes are over for the winter? Anytime overnight temperature dip to about the -2 degrees Celsius threshold or lower, you’re at risk of a hard ground freeze. While it can be difficult to predict when the weather no longer poses a risk of getting that cold, late April or early May is generally a good bet. In addition to making sure temperatures are likely to stay above that level for the rest of the season, it’s also important to check the ground to make sure it’s thawed before starting your system up. Get a tool or probe that is capable of reaching a depth of at least 1 foot to be sure it’s safe to start the system. As a general rule of thumb, it’s always a good idea to let a professional Calgary landscaping company start up your underground irrigation system for the season. You should do it yourself if and only if you are well-versed in the mechanical operation of the system, and have been properly trained in its safe start-up and operation by an experienced technician. It is never a good idea to simply give it a shot and hope for the best; this can very easily lead to serious and costly damage, and you may be waiting a while to get your system serviced since spring is the busiest time of year for the companies that repair them. Turn on the valve. In most cases, the valve needs to be rotated 90 degrees in a counterclockwise direction to be activated. Inspect each individual sprinkler head, checking for signs of damage, before introducing flowing water to the system. Replace any heads that appear to be damaged. Make sure there are no leaks or flow interruptions in any of the various sprinkler stations. Set the time and let the water flow. Watch for an extended period of time to make sure that all the sprinkler heads have the right spray pattern and coverage area. Clean, adjust, or replace any heads that do not appear to be functioning normally. An underground irrigation system is a great way to enjoy a beautiful, lush green lawn year after year, and the Calgary landscaping pros at Mirage Landscaping are experts when it comes to their installation and maintenance. If you’re looking to install a new irrigation system, or if you need any help getting yours up and running or performing as normal, give our team a call and we’ll be happy to help point you in the right direction. We are also pleased to offer complete landscaping and property maintenance services for homes and businesses. Keep your property looking fantastic all spring and summer long! 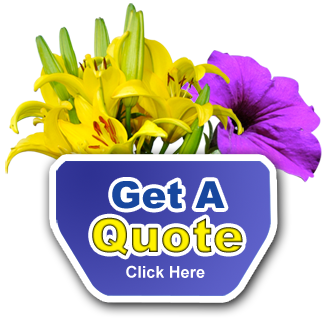 Visit us online to get a fast, free service quote.